Andre Chiang is the latest chef to return one of cooking's highest honors. Why? Singapore became the latest food destination with fewer Michelin Stars- for its restaurants as chef Andre Chiang of the acclaimed Restaurant Andre he is returning the restaurant's two stars to the guide—as well as shutting the restaurant down. "I wish to kindly return my Michelin Stars and also request not to be included in the 2018 edition of the Michelin Guide," Chiang said in a statement announcing the restaurant's closing on Feb 14, 2018. He claims the decision is "not related to any awards." 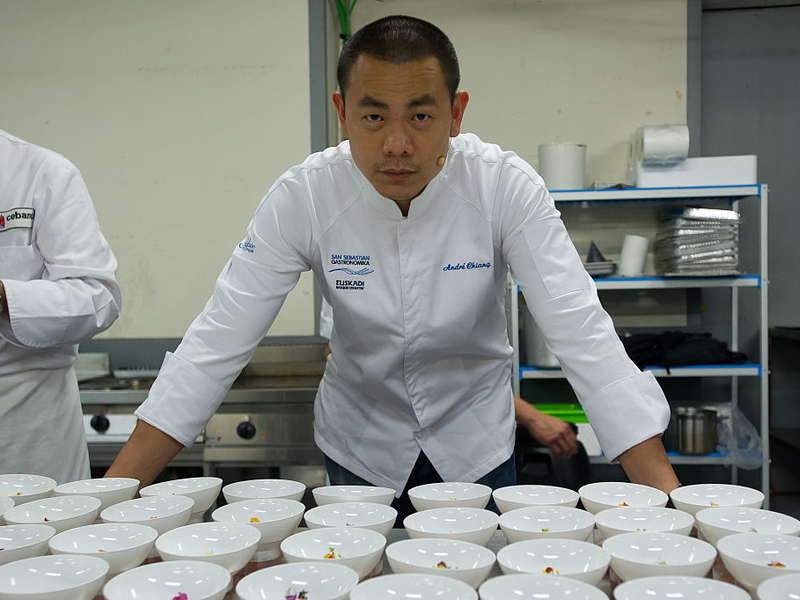 In fact, the chef owns one of the largest collections of Michelin Guides in Singapore, but he has also said that, for the past 30 years of his career, he's "been looking for "that unrealistic moment of perfection" that he thought would be reflected by winning three Michelin stars and ranking atop the World's 50 Best Restaurants list. Chiang never quite found that moment of unrealistic perfection as Restaurant Andre climbed to 14 on the World's 50 Best Restaurants (and second on the list of Asia's Best Restaurants), and recored to two Michelin Stars but never three. According to CNN, there's industry buzz that Chiang's disappointment at not getting a third this year lead to his change in direction. 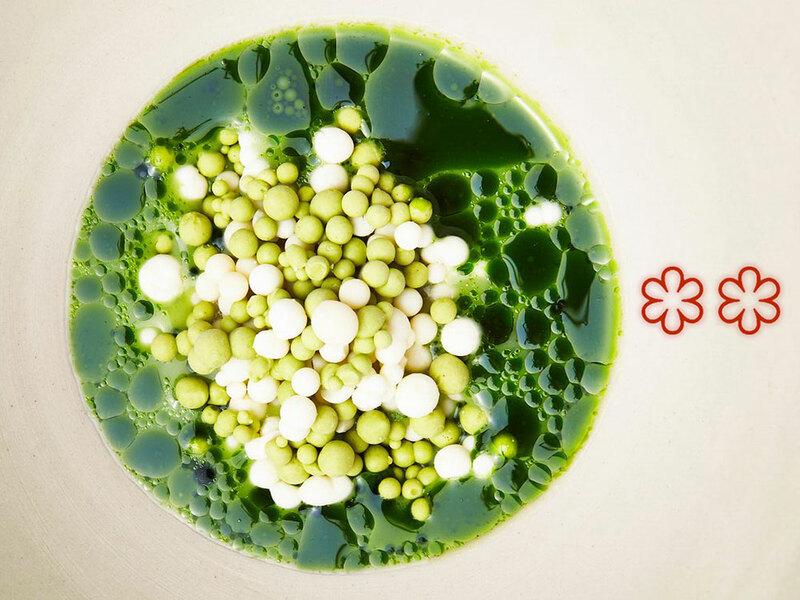 Perhaps there's something to that buzz—the chef plans to spend more time at his restaurant RAW in Taipei and specifically requested that it not be included in future Michelin Guides. Surprising as it seems, Chiang's returning of the stars has growing precedent. , French Chef Sébastien Bras of Le Suquet asked to be stripped of the three Michelin Stars he's held since 1999 because he no longer wanted the pressure of having to retain them. Accepting that it could make him less famous, Bras welcomed the chance to cook “without wondering whether [his] creations will appeal to Michelin’s inspectors." mkgallery looked into a major source of this and found out just how much Michelin Stars can impact a restaurants bottom line. Chef Joël Robuchon, who owns more Michelin Stars than anyone, told us that one star gets you about 20 percent more business, two stars get you 40 percent more, and three stars will get you 100 percent more business. But for some restaurants, the pressure of getting the first star leads to increased spending on services and décor (meant to live up to percieved standards) that can kill profits, with at least 13 two- and three-star restaurants in Europe not making turning one. Plus, losing a star can lead to the end of a restaurant entirely. And while not in danger of that, Chiang and Bras clearly were affected. It all leaves as an open question whether star refusal will become a growing trend.